The one thing about taking shots on the move is that the shots usually come out very shaky, and getting to be smooth is a difficult task. There are lots of great kits out there in the market but they all take practice and skill to get the right weights perfectly to shoot with these stabilizers, I always wondered if there was an automated stabilizer and thankfully someone else was thinking the same idea and brought it to Kickstarter. There are different models for different uses, for those who want to shoot with a GoPro or Camera phone there is one, and those who want to use a point and shoot there is a different model and there is one for a DSLR and they look very simple to use. 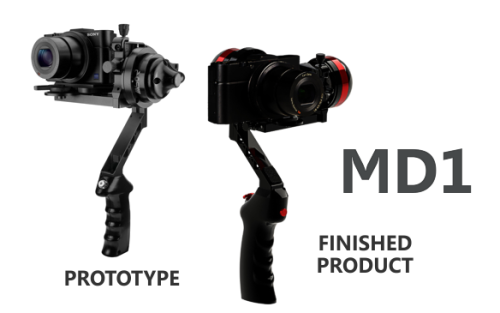 I already made a pledge for the SP1 & MD1 for my usual use as thats what I shoot with mostly. Check it out if this interests you as there are is only a few days left to back this project. I have always been a fan of LED lights, but sometimes they are just too bright or not bright enough. Surprisingly the high quality LED desk lamps are a bit more on the expensive side, there are those that are cheaper but not that good quality. 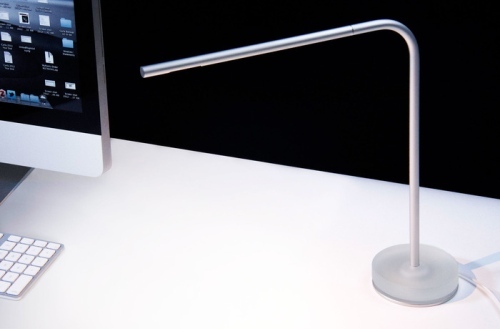 The Piccolo peaked my interest so I pledged for it, not just because it produces a warm light which is not meant to over power the ceiling lights, instead its meant to compliment it and the right type of light when you don’t want the lights above switched on. Also one other cool factor for me is that it is power by USB which I think it is a genius feature. I use my iPad to watch a lot of shows and anime, the one thing about it that is annoying is the speakers, most of the time I’m using headphones which work fine but the iPad speakers are good enough for music and not watching media when you want it a bit louder then what its capable of. It looks like I wasn’t the only one thinking that, and that is the idea behind the ORA iPad Sound System. These people are passionate about sound and this Kickstarter project is an ambitious one, they are really aiming high with it. A perfectly fit case to make a great watching experience on your iPad. 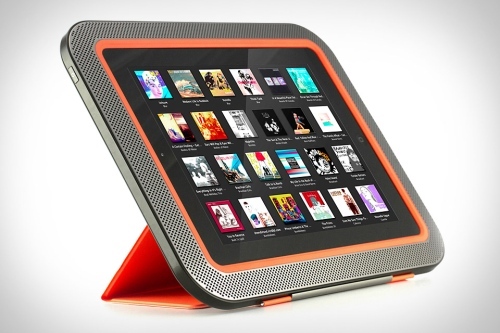 Designed by a team that has created products for the likes of TDK, Intel, Vizio, and Nike, the aluminum case/stand packs eight front-spacing speakers (tuned by the former engineer lead of Bose) into the space surrounding the screen, giving you a far more immersive sound experience than you’re used to from your tablet. 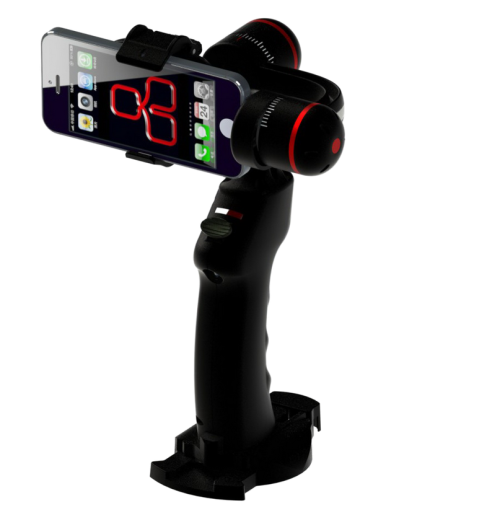 It is a well designed and versatile mount which you can use in a lot of ways. I got two when I pledged for the Kickstarter project, and honestly it feels good to help projects that have potential and genuine ingenuity. I tried it out in different situations, the one drastic point is that the back of the phone or pda or e-reader needs to be smooth for the suction to hold the item. Overall I was impressed and kept using it on my desk, tried it in my car, and even stuck it to the fridge and left it for a few hours. 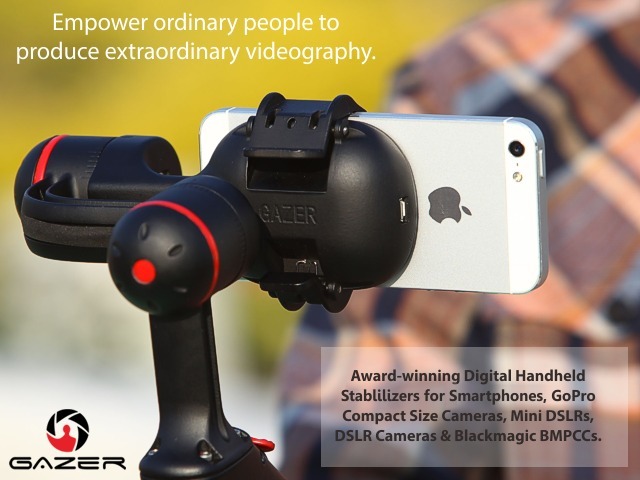 Its flexible and very useful, and one of the best parts is able to use it with my tripod, the guys who made it really wanted to use it every way. 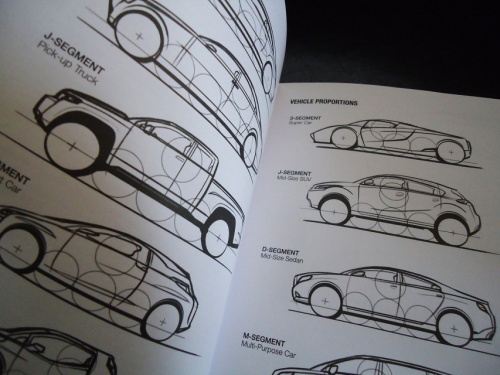 The I DRAW CARS Sketchbook & Reference Guide is an indispensible tool for students, designers, hobbyists, artists and car enthusiasts. 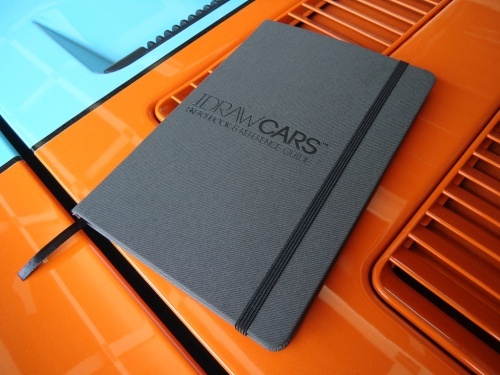 We’ve designed the ultimate car design field guide by pairing commonly used industry reference materials with a ubiquitous and iconic moleskine-style sketchbook. 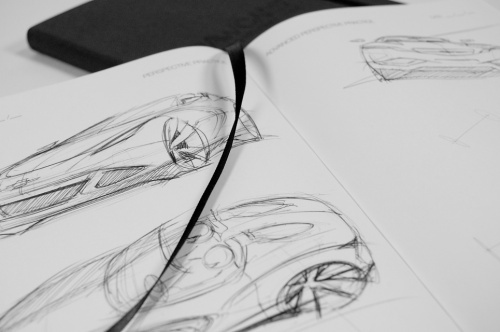 I have always thought about being an vehicle designer or an industrial engineer, some one who gets to design those amazingly cool cars. Matt Marrocco and Adam Hubres are two designers/engineers who work in this industry and wanted to provide a book and tool that can help people develop this skill. I love that they have gone with the Moleskine look for this book and they have put a lot of effort into it, all the different perspectives and designs. I for one have zero skill in drawing even though I sketch a lot in my Moleskine so I pledged right away, I love that they have a sketch over section so I can improve my horrible skills and I would love to add this to my collection. If you like this sort of thing check out their website and then head over to Kickstarter to pledge for the book. I hope this is a first edition and they come up with other design books soon. Another very cool project from Kickstarter! For those who have trouble mounting their phones in different locations that is the perfect solution. For once someone came up with a simple solution and you can mount your phone in any location and use it for different things. I really like how it was designed to work in different angles and lets you use your phone or even a small tablet in different ways. I went for the high pledge to get a few Oonas but check it out. A little while back I came across Kickstarter and saw that its a website with people pledging for innovating products and designs. 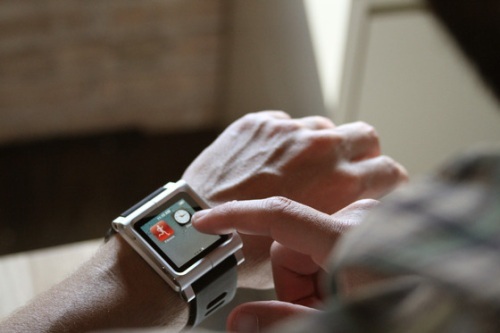 Lunatik was product that was getting a lot of press and for good reason, its an amazingly designed and simple. I pledged for it right away because I liked it even though I don’t have a Nano. I pledged and got the LunaTik & the TikTok and I picked up a Graphite 16GB Nano when the LunaTik went out for delivery, and then I got a Silver Nano as a gift later on. The funny part is I never had a reason to buy a Nano, I had the old Nano and it was perfect for my riding needs but when this came along I went ahead got one. So I was just waiting for the delivery of the LunaTik to come along. Scott Wilson is the designer behind the TikTok & LunaTik that has stormed the web the past month, every tech and designer website talking about it. It honestly deserves the fame just because of the unique and high quality design, it even appealed to me. That isn’t the only thing that got me interested, I clicked on the link and found myself at the TikTok+LunaTik Kickstarter page. This was an interesting experience, you pledge certain amount of money and you get a product or certain products all based on the amount you pledge, its like preordering the product at the price you choose based on the package you want. Turns out Kickstarter is a new concept which helps designers and product developers to get the income they need to make their product, its a unique and fantastic approach to connect the developers with the consumers. TikTok+LunaTik was an extremely successful result, the goal of the pledges was $15’000 but it shot past it up to $941,718 which is extremely alot more then they were expecting. 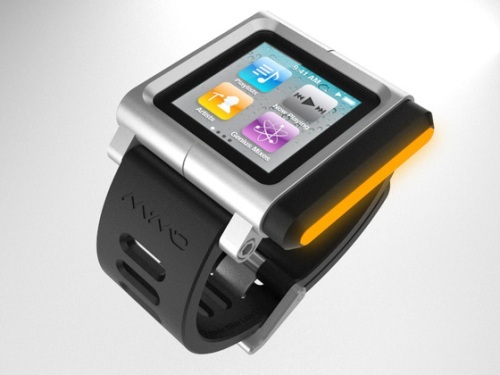 I pledged $160 to get the TikTok & LunaTik, I honestly never really thought about the iPad Nano except after seeing this design, it would make it easier more me to put on a watch and listen to music while riding then to have it in my pocket. The design is genius and because of this design it urged me to get the Nano, so I think they have been successful in designing a product which would appeal to people and everyone loved it. I think that the Kickstarter Platform is fantastic and I’m looking at other products that they might have, it ranges from music to photography equipment, I’m enjoying seeing these interesting products.